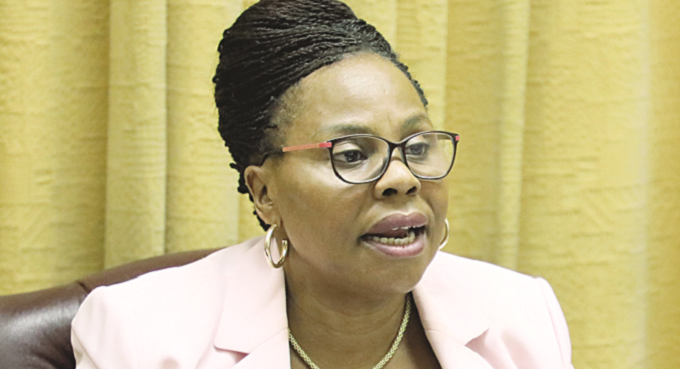 Government has rolled out detailed plans for the restructuring of State-owned Enterprises (SOEs), with 41 entities lined-up for privatisation, departmentalisation and listing on the Zimbabwe Stock Exchange. Other firms would be commercialised, merged while four will be guillotined. It is expected that 13 parastatals would be privatised while 12 are set for ZSE listing. The restructuring, which targets to turn SOEs into profitable firms to avoid reliance on Government handouts for survival, is being done as part of efforts to achieve “Vision 2030”. “Vision 2030” seeks to turn the country into an upper middle-income economy with a per capita gross domestic product (GDP) of $3 500 and decent jobs for citizens. Yesterday, the Ministry of Information, Publicity and Broadcasting indicated on its Tweeter handle that the restructuring of SOEs has begun. “Government has started restructuring 41 State-owned enterprises (SOEs),” said the Ministry of Information. Institutions lined-up for privatisation include the Infrastructure Development Bank of Zimbabwe (IDBZ), Zupco, Agribank and some subsidiaries of the Industrial Development Corporation (IDC). Firms scheduled for ZSE listing are Petrotrade, Willowvale Motor Industries, Chemplex Corporation and Deven Engineering. Thirteen firms; the Postal and Telecommunications Regulatory Authority of Zimbabwe (Potraz) and the Broadcasting Authority of Zimbabwe (BAZ); Powertel, ZARNet and Africom; and the Boxing and Wrestling Boards, are earmarked for mergers. The Competition and Tariff Commission (CTC) is set merge with the National Competitiveness Commission (NCC), while the Zimbabwe Investment Authority (ZIA), Special Economic Zones Authority (SEZA) and the Joint Ventures Unit (JVU), will also be bundled together. ZimTrade, the country’s premier trade promotion body, which was expected to be merged with ZIA, JVU and SEZA, has survived due to “changed circumstances”. “ZimTrade . . . circumstances have changed and it is not part of the companies that are going to be merged into the Zimbabwe Investment Development Agency (ZIDA),” said the Ministry of Information. Government had hoped to harmonise all investment and trade institutions to eliminate duplication of roles. A number of countries including neighbouring Botswana has the Botswana Investment and Trade Centre, which is responsible for all trade and investment issues. Government also announced that the National Glass Industries, Zimglass, Kingstons Limited and tractor firm, Motira. Companies such as New Ziana, the National Indigenisation and Economic Empowerment Board (NIEEB), Board of Censors and the Lotteries and Gaming Board, would all be adopted by line ministries. The Zimbabwe Mining Development Corporation (ZMDC’s) 17 subsidiaries, the Grain Marketing Board (GMB) and the Civil Aviation Authority of Zimbabwe (CAAZ) will be unbundled to separate their regulatory and commercial functions. Government has taken the decision to restructure parastatals since some of them have been posting losses perennially. In 2016, 38 out of 93 audited SOEs incurred a combined $270 million loss because of dislocated corporate governance practices and ineffective control mechanisms.—The Herald.